You’re never done developing your leadership skills. The traits that make for a great leader can always be honed and improved. You only have to focus on what will make you better. But do you know where you need to focus? Most people do not and they struggle to improve their leadership capacity beyond their current point. You know better. You know you need to continue to improve. And you work towards improving. At the beginning of 2019, I wanted to share 19 leadership traits leaders should focus on to make this their best year ever. These traits will help you become the leader people want to follow. Want to lead better? Learn how to communicate better. Leaders who can clearly communicate to their teams often have more success. Your team will struggle to move forward if you haven’t communicated the direction you have for them. Learn how to communicate your organization’s goals. Your goal as a leader is to move people to a new place. You cannot lead people to a new place without a forward-thinking mindset. When you think ahead, you can see where your organization is headed and guide those you’re leading there. Be willing to lean into the future. Want to lead better? Learn to build better relationships. Great leaders connect with people on an emotional and personal level. This helps them to know who they’re dealing with and what issues are arising in the lives of the people they lead. You have to help your team grow. But you might not know how to help them take the next step. This is where coaching comes into play. Michael Bungay Stainer, the author of The Coaching Habit, talks about the best question to ask in coaching. The question you must ask is And what else? You’ll eventually get to the heart of problems by using this question and showing interest in your team. It’s hard to lead without confidence. You have to have a belief in the actions you’re taking. Without confidence, you’ll flounder. You’ll constantly doubt the choices you make. You can’t lead well when you’re always doubting. Probably one of the most important leadership traits you can have is integrity. Having integrity means you do the right thing even when the right thing isn’t easy. People will trust leaders who have integrity and be willing to follow them places they normally wouldn’t go. Be a leader with integrity. You can never stop learning and growing as a leader. While there are timeless leadership principles, there are new ways of doing things. 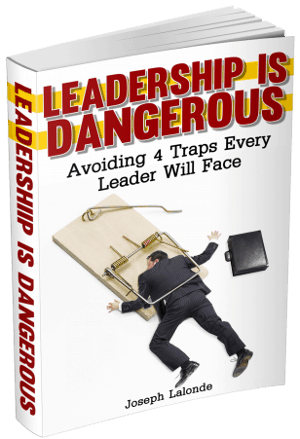 Be willing to take on the task of learning new leadership skills. Hone them and use them effectively. Focus on learning to control your emotions and attitude. Leaders who go far often have mastered the leadership trait of self-control. Controlling your emotions will help you go farther. You’ll be better respected and listened to. Great leaders are self-aware. They know they don’t know everything. They also know they can continue to work on themselves. Keep your self-awareness front and center in your life. It’ll keep you in your place while you continue to grow. Have you ever heard of the squirrel syndrome? This is where someone will change their thoughts or ideas based on the latest thing to catch their eye. They’ll throw out weeks or months worth of work only to jump onto the next bandwagon. Don’t be a squirrel leader. Instead, stay committed to the path you’ve set forth. Leadership requires risk. Forecasting into the future is uncertain. You won’t know whether or not you’ll be successful. What you do know is you have to take a risk. You have to put forth your best vision and go with it. If you want to go the distance, you have to endure. You’ll endure through good times and bad times. Through pain and happiness. Leadership is an endurance run. Keep running. To lead well, you have to have drive. Drive will push you forward when you don’t feel like continuing. You may have the title of leader but that doesn’t mean you’re not, or shouldn’t be, accountable to anyone else. Effective leaders know they’re accountable to others. They may be accountable to other leaders. They may be accountable to those they lead. Whoever you’re accountable to, you have to be open to the feedback they give to you. You have to be able to communicate. You also have to be able to listen. Listening opens your mind to the situations around you that you miss. People are willing to share what’s going on when you’re unable to see it. If you’re not reliable, you’re not going to do well in leadership. You have to show up when people expect and need you to be there. An enthusiastic leader can change the dynamics of the workplace. As team members see you excited and energetic about an initiative, they’ll catch the fire as well. Great leaders aren’t immature. They’ve come to a place of maturity where they can control themselves and express themselves in the proper manner. Last, but not least, is the leadership trait of caring. There’s something special about a caring leader. They take interest in their team members. They care and help out when needed. Learn to stretch your caring muscles. 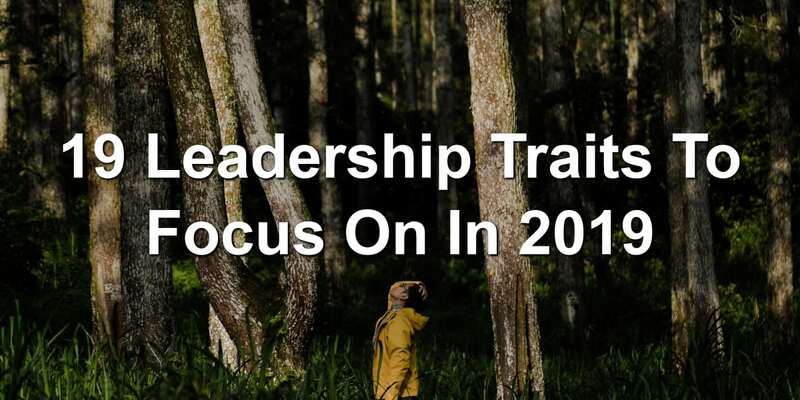 Question: What other leadership traits should leaders focus on in 2019? Share your thoughts in the comment section below.